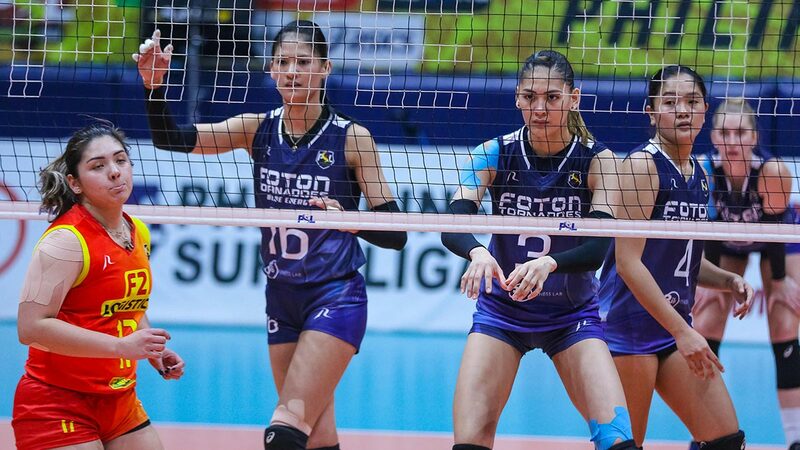 F2 Logistics star import Lindsay Stalzer admitted that Jaja Santiago’s return to Foton pushed them to their limits in their quarterfinals showdown in Philippine Superliga Grand Prix. The Cargo Movers’ title quest got stuck in limbo as they blew their twice-to-beat advantage with a five-set loss to the Tornadoes in the first game of their quarterfinals. Good thing Stalzer and fellow import MJ Perez stepped up when it mattered most for F2 Logistics to knock out Foton, 25-22, 25-27, 25-21, 25-19, in a sudden-death match on Thursday at the Arena in San Juan City. The 34-year-old American import Stalzer said that Santiago was the game-changer for Foton that made it hard for F2 Logistics. “Jaja is a world class volleyball player. She, obviously, was the difference in the game,” she added. The 6-foot-5 Santiago, who won the two Grand Prix titles of Foton with Stalzer in 2015 and 2016, was flattered by what her ex-teammate said, but she insisted their gallant stand was a collective effort. Stalzer, who played for Foton from 2015 to 2016 before transferring to Petron in the last two seasons and to F2 Logistics this year, expressed her respect to her former club team. “They’re a formidable opponent and they’re such a great team too, then they’re good people, they gave me hugs after the game. I really respect them,” Stalzer said. Now that they already overcame Santiago and the Tornadoes, the Cargo Movers advanced to the best-of-three semifinals facing PLDT. The two-time Grand Prix Most Valuable Player insisted that the Cargo Movers have to work on their service and reception as they enter the climax of the conference after the week-long Lenten break. “I think if we pass well, we shouldn’t have trouble with too many teams so that’s a big thing. It’s reception and service,” said Stalzer.